The night of 19th of August 2017 will not be only a hot summer night, but also a very hot party night at the city of Sofia, Bulgaria. The infamous location Fabrica 126 will become the best meet-up place for the electronic music community at Sofia. Groovebox (ES), Shosho (BG), Medo & Rosnox will present a new party concept hosted at Fabrica 126. The first two names are well known tech house and techno producers who have affinity for banging beats and hard-style electronic house. The last two Djs will have the task to make your feet dance first and this guarantees their best skills and efforts to be openly displayed. It will be a showcase of talent, creativity, improvisation at a properly customized environment with focus to good electronic music. We are happy to now introduce the talented DJ & Producer and drive force behind this event – Rosnox. We caught up with him in between flights back to Bulgaria, to talk more about his upcoming event. Hello Rosen (a.k.a.) Rosnox, pleasure to have you on our ‘Behind The Scene’ interview feature. You are organising an event in native Bulgaria next month with guest djs Groovebox, Shosho, Medo and yourself. How did the idea of the event come about, and what was the drive behind selecting this lineup and the venue ‘Fabrica 126’ in Sofia, Bulgaria? Hi, thank you for having me! Groovebox is a perfect match to all requirements needed for a good party at Bulgaria. He is very passionate about his work and he incorporates his true musical vision in his productions. His music has been released through labels that are loved and respected in Bulgaria (such as Toolroom, Deeperfect, etc. ), and in general his music is very energetic and engaging for the audience. All that creates assumption for a great chemistry between the dance floor and the DJ. We needed someone to complement Groovebox’s performance. We wanted someone with similar music affinities and someone with similar energy. This is why we invited Shosho to join us. He is a top favorite of the Bulgarian public, top Bulgarian producer, and the type of guy that has full command of the crowd, they move when he moves, they sing when he sings, and that makes him perfect too. Me and Medo are natural addition to the lineup to support our headliners as organizers. For me this is a great chance to make my first gig at my homeland too, and will certainly be throwing my best warm up set down there. Medo will be opening for 2 top class artists and he is also motivated to over perform. We picked Fabrica 126 because it’s known in the city, and it allows for complete customization. We rented the space, and we will upgrade it for maximum capacity to meet the requirements of the event we are hoping to achieve. We will have the main room on our disposal, but there’s also the terrace that comes with it. We like the idea of a place that allows people to go out for a second without missing an eye on the music and the party. Who are you co-organising the event with? Have you set any goals with this event – what are you trying to achieve and bring about with it? Me and my good friend Boris Medarski (Medo) are the two main people responsible for handling the project from start to end. We got together for a few hours in April and we managed to lay down the entire master plan. That’s when we gave the project a green light. Medo is the founder and owner of the platform “Strictly Local Music” which is used for this event. Behind us, we’ve got the great support of our headliners, our graphic designer from Mexico, and we are looking forward towards working with a number of talented Bulgarian people before and during the party. Fabrica 126 is also helping us a lot with the organization. Mirafiori Club at Sofia will be ready to host an official after party should that be necessary after the event. It’s a good international team. You are originally from Bulgaria, but now based in Copenhagen, Denmark where you have been establishing yourself as a dj and producer for the past few years. Why have you now decided to organise this event in Bulgaria and is that only the beginning? It’s rather hard for Bulgarian promoters to book more international DJs due to lack of proper funding for similar projects. When international DJs are booked at Bulgaria, it’s usually one of the well known producers betting on the safest option, one of the ‘top 10 techno guys’ names or similar. Very few artists dare to break the tendency and invite new names. It’s too risky for their money. Me and Medo are aiming to popularize Strictly Local Music and to use is as platform for more events of this kind going forward. We wish to create better competition among the DJs on the scene by hosting more future events where the talent of different young perspective Bulgarians will be showcased alongside top acts, all well intended to match by styles, expectations and quality of work. We wish to bring more international DJs to Bulgaria and show them how crazy the ravers there are, but we also want the ravers to see their favorite acts that for one reason or another do not fit the ‘Top 10 Techno’ list and so they are never invited. I am sure that Groovebox has many fans in Bulgaria as we speak! If this event goes well for all parties involved, then we will be looking forward towards showcasing top acts from Scandinavia, as we have already made informal inquiries with the artists we have in mind and they have only positive thoughts about this opportunity. In your opinion, what are the core differences between the electronic music scenes in Scandinavia and the Balkans/Southern Europe? In Scandinavia, people do not feel pressured to produce music, they have it naturally coming as a result of the compact cities and the tight relationships between all co-inhabitants in them. The high economic standard allows new producers to buy new expensive equipment every month if they wish. All This speeds up the advancement process and allows producers to be both fast-learners and self-learners and it gets them on the market for no time. The high standard also makes it easier for promoters to invite top class acts, since they are able to afford it. Opposed to this picture, the Balkans remains arguably the poorest zones of Europe and so forth having a simple hardware controller appears a luxury to many. The entire region is affected by political games, ethnic intolerance and poorness, which affects how people live, what they do and how often they go to party. This makes the scene more restricted to newcomers, or outsiders and it makes the fans more picky. This makes it harder for international DJs to be booked there. This makes it harder for everyone involved with music to sell it – since the standard is low, computer piracy is rather high and sales are low. Almost each promoter in the city of Copenhagen, Oslo or Malmo will probably be able to confirm how difficult it is to fill a club with ravers. Since It’s really expensive thing to do – from transport to food, one night out could cost as much as the food for a whole month. That’s why people from Scandinavia go to Sunny Beach during the summer – it’s really cheap out there. In the Balkans, the biggest people problems are the scene’ salvation – the fact that countries have bad economies pushes business owners to lower prices to bare minimum and to offer affordable pricing conditions to ravers, which leads to an up-effect and causes the masses to prefer outdoor time than indoor. Thus, there is a bigger concentration of clubs and population moving in-between them. To sum it up, looking at the positives and the negatives, my opinion is that the Balkans are still developing its electronic culture due to its delayed progress and it has more to learn from Scandinavia in that regard, but when it comes to people and ravers truly loyal to their own choice of music and DJs, the Balkans have advantage ahead with bigger part of the population hitting the clubs more often. What more can we expect from you in 2017 and where do you see yourself in the future – Denmark or Bulgaria (or somewhere else)? Since my father passed away in April 2017, I decided that all I want is to be close to my family. For the moment I am staying at Denmark where my studio and current life are, but I am having my eyes wide open for opportunities that may take me back to my homeland and allow me to set up the studio there. We’ll see, time will show. Until I decide, my focus is set on developing my skills as a producer and finding a way to express all that I feel inside me through music. For more event information and tickets click here. 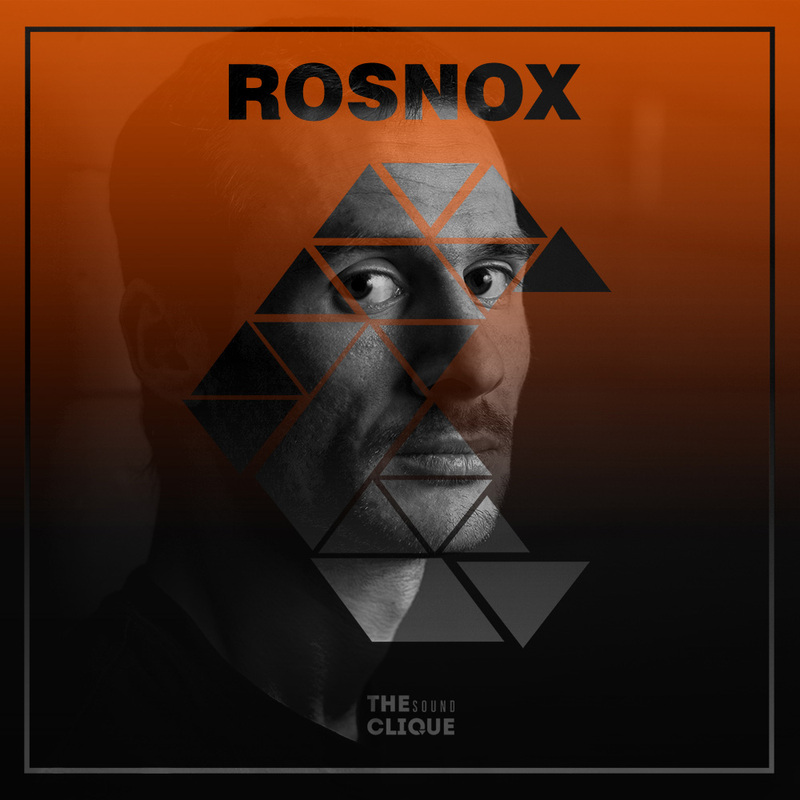 Connect with Rosnox on Facebook and Mixcloud.